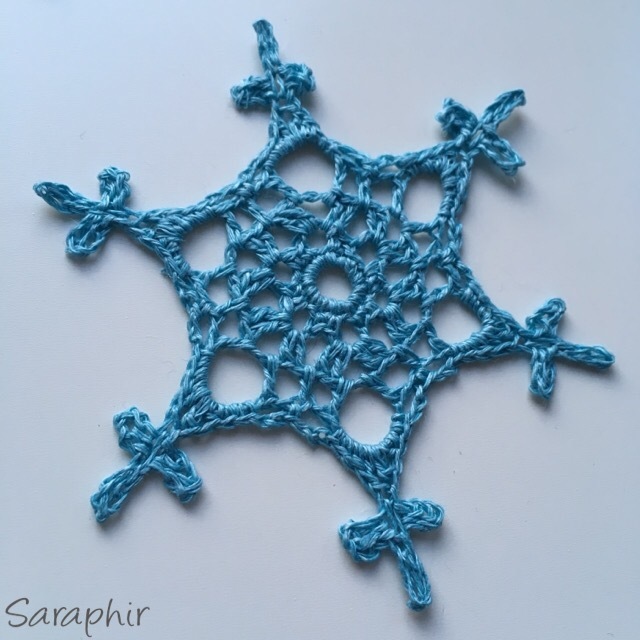 Following on from the three Feather Snowflake Patterns I have posted for free during the last month it is now time to move on to the ‘other’ snowflakes. 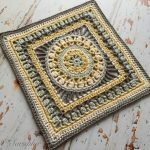 I have had these patterns for a while and recently decided to make the basic patterns available for free on my blog as well as selling them in sets with a photo tutorial as PDF files. 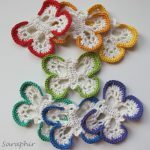 The next snowflakes to come are very different in style to the Feather ones and it has been harder to come up with names for them. However, I decided that due to the relative heaviness (compared to the lightness of the Feather Snowflakes) to adapt the Danish word ‘Tøsne’ which literally means ‘thaw snow’ – the kind of heavy, wet snow you get when it is not really frosty enough for it to stay for long on the ground. 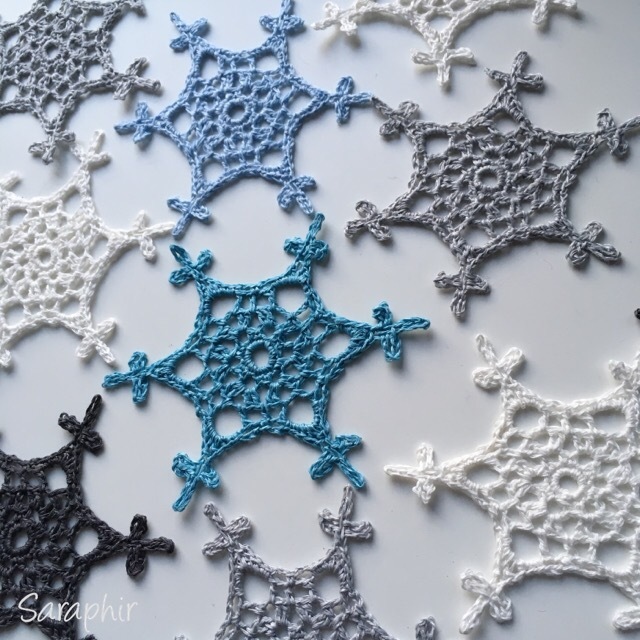 So it’s the Tosne Snowflake and there is both a small and a large version – the large will be coming in due course! 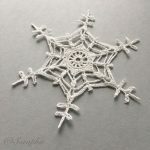 I make my snowflakes with 3-ply linen yarn and a 2 mm hook, but any yarn (with appropriate sized hook) can be used. 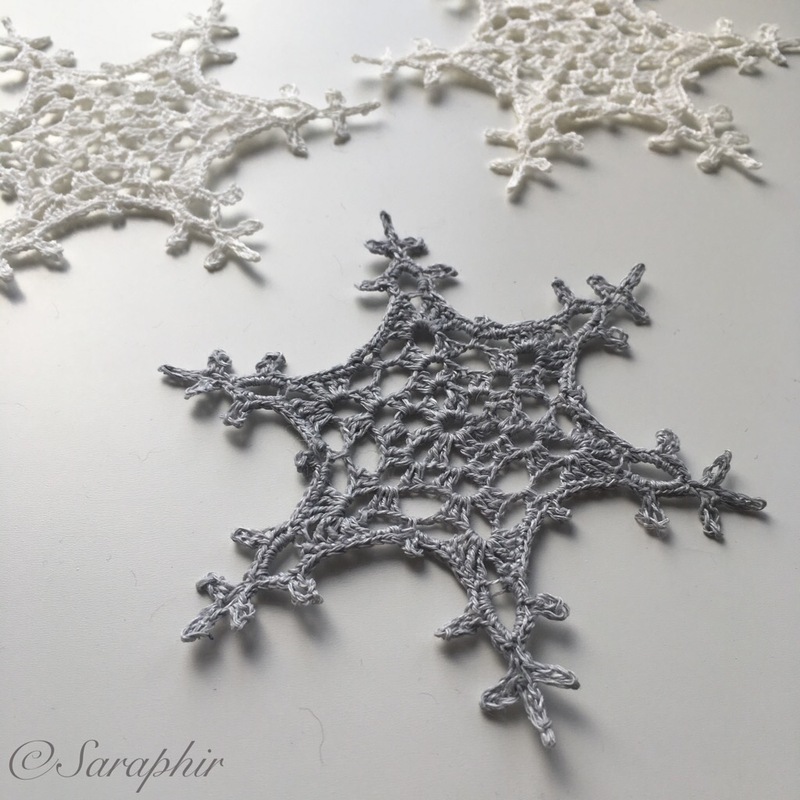 You’ll need to block the snowflake when it’s finished and I stiffen mine with a mixture of PVA glue and water to help them keep their shape when hanging. You’ll find the pattern for the snowflake in both UK and US terms below. 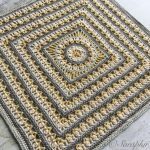 You can find a guide to the abbreviations used on the page Crochet Terms. Please remember that these are my designs and are my copyright. So feel free to use them for yourself, but please do not repost the pattern as yours and please credit me as the designer if you sell what you make – thanks! 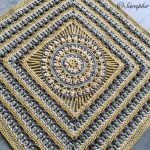 Foundation ring: ch 6, ss in 1st ch to form a ring. Round 1: ch 1, 12 dc in ring, ss in 1st dc. Round 2: ch 1, 1 dc in next dc, ch 3 [1 dc in next 2 dc, ch 3] x 5, ss in 1st ch. Round 3: 1 ss in next dc and ch 3, (ch 3, 1 tr, ch 2, 2 tr) in next 3 ch sp, [2 tr, ch 2, 2 tr] in next 3 ch sp x 5, ss in 3rd ch of first 3 ch. Round 4: ss in 1 tr and 2 ch sp, ch 8, 1 tr in same 2 ch sp, ch 1, 1 htr between 2 x 2 sets of treble in round 3, ch 1, * (1 tr, ch 5, 1 tr) in 2 ch sp, ch 1, 1 htr between 2 x 2 sets of treble, ch 1*, repeat from * to * 4 more times, ss in 3rd ch of first ch 8. Round 5: ss in 5 ch sp, ch 1, in 5 ch sp: [1 dc, 1 htr, 1 tr, ch 1, (ch 6, ss in 6th ch from hook) x 3, ss in 1 ch, 1 tr, 1 htr, 2 dc], * ch 2, 1 dc in 1 htr, ch 2, in 5 ch sp: [2 dc, 1 htr, 1 tr, ch 1, (ch 6, ss in 6th ch from hook) x 3, ss in 1 ch, 1 tr, 1 htr, 2 dc] *, repeat from * to * 4 more times, ss in 1st ch. Fasten off and sew in ends. Round 1: ch 1, 12 sc in ring, ss in 1st sc. Round 2: ch 1, 1 sc in next sc, ch 3 [1 sc in next 2 sc, ch 3] x 5, ss in 1st ch. Round 3: 1 ss in 1 sc and ch 3, (ch 3, 1 dc, ch 2, 2 dc) in next 3 ch sp, [2 dc, ch 2, 2 dc] in next 3 ch sp x 5, ss in 3rd ch of first 3 ch. Round 4: ss in 1 dc and 2 ch sp, ch 8, 1 dc in same 2 ch sp, ch 1, 1 hdc between 2 x 2 sets of dc in round 3, ch 1, * (1 dc, ch 5, 1 dc) in 2 ch sp, ch 1, 1 hdc between 2 x 2 sets of dc, ch 1*, repeat from * to * 4 more times, ss in 3rd ch of first ch 8. Round 5: ss in 5 ch sp, ch 1, in 5 ch sp: [1 sc, 1 hdc, 1 dc, ch 1, (ch 6, ss in 6th ch from hook) x 3, ss in 1 ch, 1 dc, 1 hdc, 2 sc], * ch 2, 1 sc in 1 hdc, ch 2, in 5 ch sp: [2 sc, 1 hdc, 1 dc, ch 1, (ch 6, ss in 6th ch from hook) x 3, ss in 1 ch, 1 dc, 1 hdc, 2 sc] *, repeat from * to * 4 more times, ss in 1st ch. Fasten off and sew in ends. 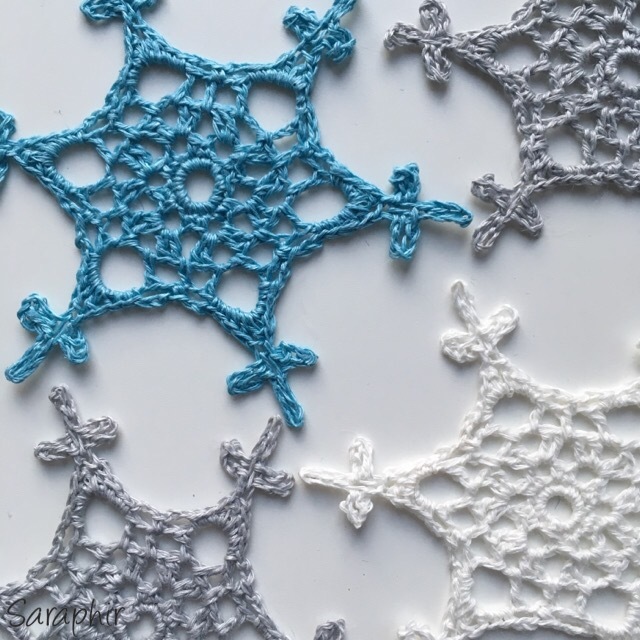 You can find a PDF file with the pattern for this and two other snowflake patterns with a photo tutorial for one of them in my Etsy shop or Ravelry Store. 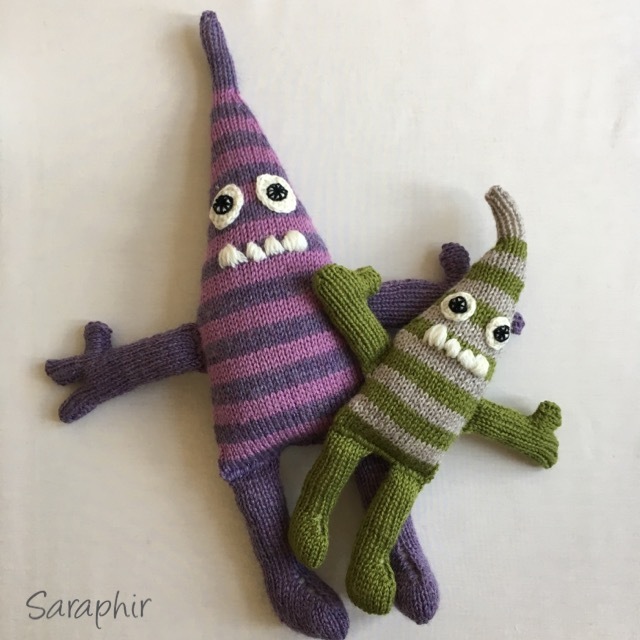 I hope you find something you like and ENJOY MAKING! 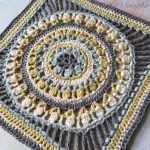 11-year-old is a crochet prodigy.